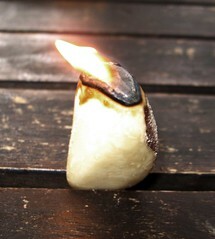 did you know that you can light brazilnuts like candles. I didn't. So I did. Worked well too. FYI on the survival tips, orange peel and cheezles make great fire lighters.